Roughly two-thirds of parents who were separated from their children at the border then deported following the Trump administration’s crackdown on illegal immigration won’t seek reunification in their native countries, a national attorney for the American Civil Liberties Union told a federal judge Friday. Lee Gelernt, the lead attorney for the plaintiffs in a class-action lawsuit filed in San Diego seeking reunification of all families, told U.S. District Judge Dana Sabraw that he spoke to some of the deported parents on a recent trip to Guatemala. “The parents feel that it’s too dangerous for the child to come back,” Gelernt told the judge. 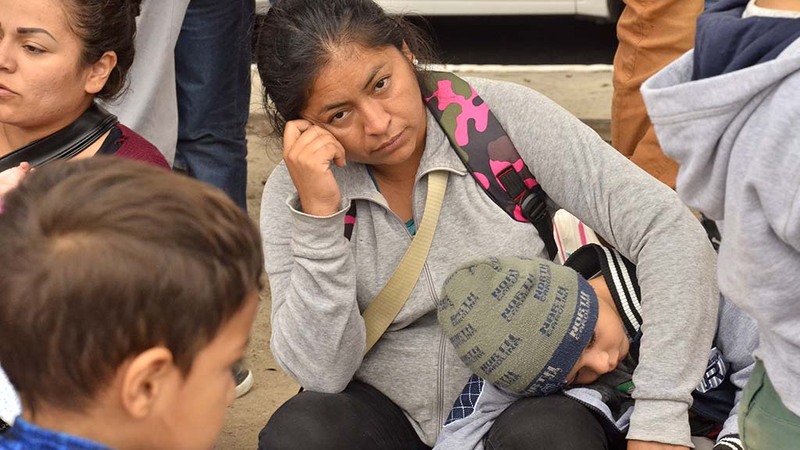 Gelernt said the deported parents are desperate for their younger children to return to their native country, but older children might be recruited into gangs and other criminal elements. Sabraw wondered if the federal government could do more to better support reunification efforts in such countries as Guatemala and Honduras. “Is the government doing anything besides providing information?” the judge asked. Sabraw noted that at some point, there will be parents who can’t be found. Deputy Assistant Attorney General Scott Stewart told Sabraw that limits exist to what government officials can do in foreign countries. With regard to parents who are not part of the class-action but were released back into the United States after being separated from their children, the judge told the government to include them in the reunification effort. Government officials said that contact information has been identified for all but a handful of the 304 children in federal care after they were separated from their parents. Sabraw told the ACLU to report to him next week if the plaintiffs think the government is doing all it can do with reunification efforts. The judge also asked the government to provide a lead official who can explain what the government is doing to find parents.